On Wednesday, the baton of the fashion capital will pass from London to Milan, kicking off one of the most awaited events of the year: Milan Fashion Week Fall Winter 2016. And while we can’t wait to see the upcoming fashion shows and exclusive events organized in our city, we are curious to discover how the new trend “see now, buy now” will impact the Italian brands. As our regular readers know, to celebrate the event we love to select and feature the mini-me outfits that we like the most in the proposal for the incoming season (see here). 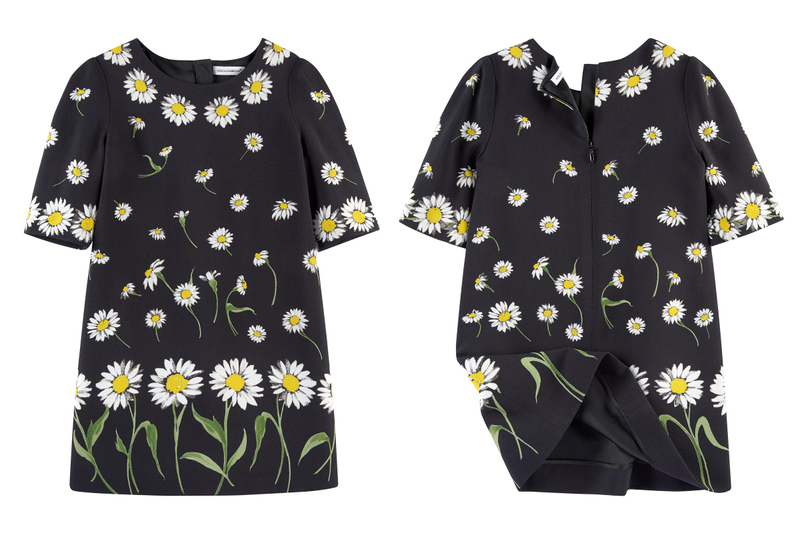 For this edition we’ve picked: Dolce & Gabbana, Gucci and MSGM. Follow us on our social channels to know all the kids fashion events from Milan during the Milan Fashion Week Fall Winter 2016. Looking forward to seeing you there! Mercoledì il testimone di capitale della moda passerà da Londra a Milano, dando il via ad uno degli eventi più attesi dell’anno: la settimana della moda a Milano Autunno Inverno 2016. E mentre non vediamo l’ora di goderci le prossime sfilate e gli esclusivi eventi organizzati nella nostra città, siamo curiose di scoprire come la nuova chiacchieratissima tendenza del “vedi ora, acquista ora” si rifletterà sui marchi italiani. 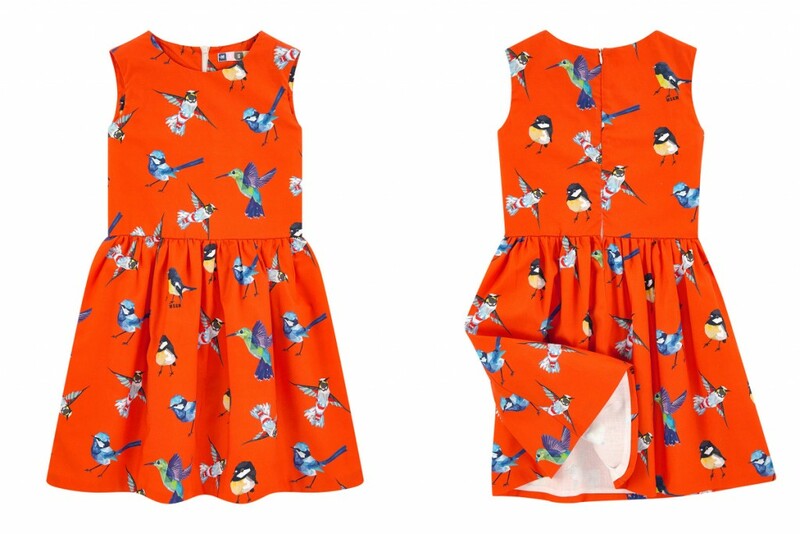 Come i nostri abituali lettori sanno, per celebrare l’evento ci piace selezionare e pubblicare la serie di look per bambine ispirati dalle collezioni per adulti, così detti mini-me, che ci sono piaciuti maggiormente tra le proposte per la stagione entrante (vedi qui). Per questa edizione abbiamo selezionato: Dolce & Gabbana, Gucci e MSGM. Seguiteci sui nostri canali sociali per scoprire tutti gli eventi relativi alla moda bimbi organizzati durante la settimana della moda a Milano. Vi aspettiamo! Milan Fashion Week Spring 2016 - Dolce & Gabbana fashion show presenting their collection for the incoming season. Photo from Dolce & Gabbana. 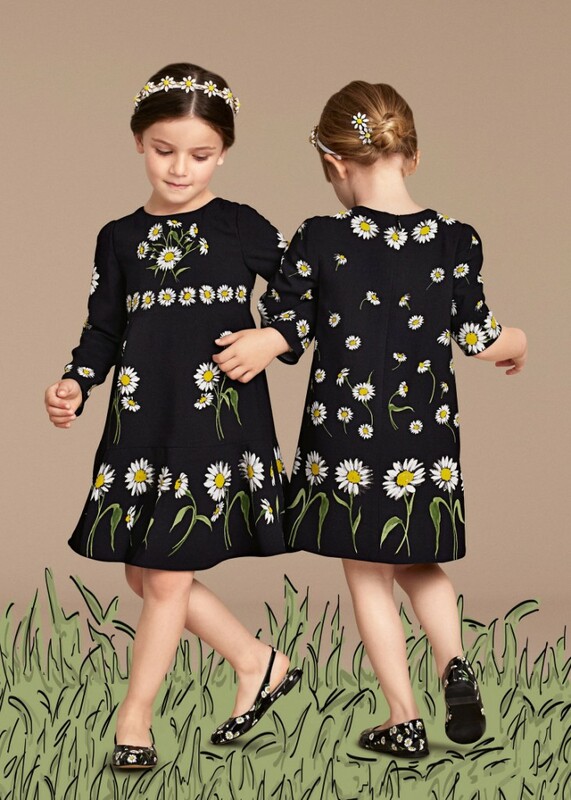 Dolce and Gabbana summer 2016 children advertising campaign featuring two mini me black outfits with daisies. Love the shoes! Photo from Dolce and Gabbana. Dolce and Gabbana summer 2016 girls black dress with an adorable daisy print. Photos from melijoe elaborated by Fannice Kids Fashion. 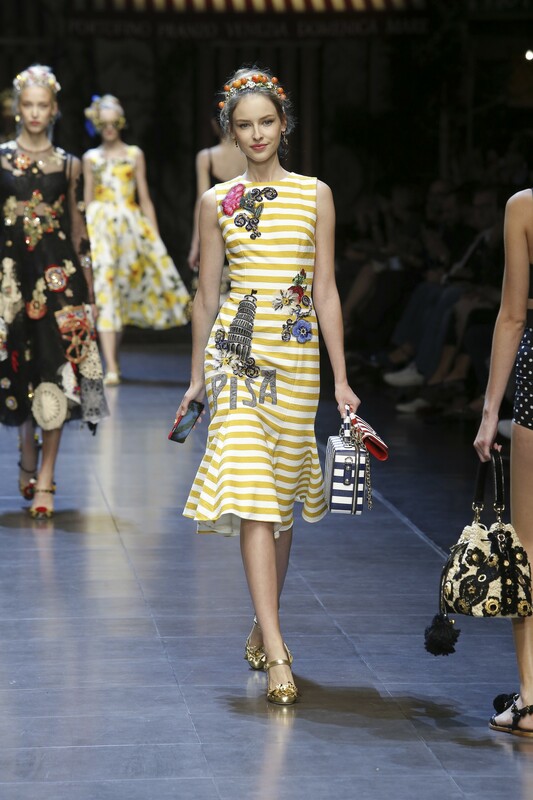 Milan Fashion Week Spring 2016 - Dolce & Gabbana fashion show presenting "Italy is love!" collection. Photo from Dolce & Gabbana. 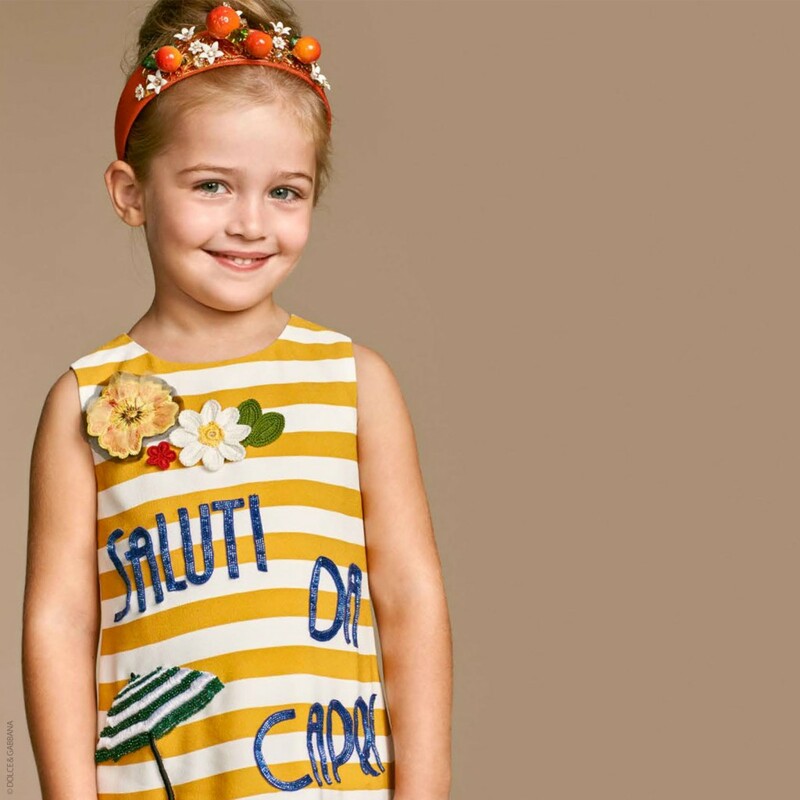 Dolce and Gabbana summer 2016 children advertising campaign featuring a white and yellow striped dress inspired by the women's wear range. Photo from Dolce and Gabbana. 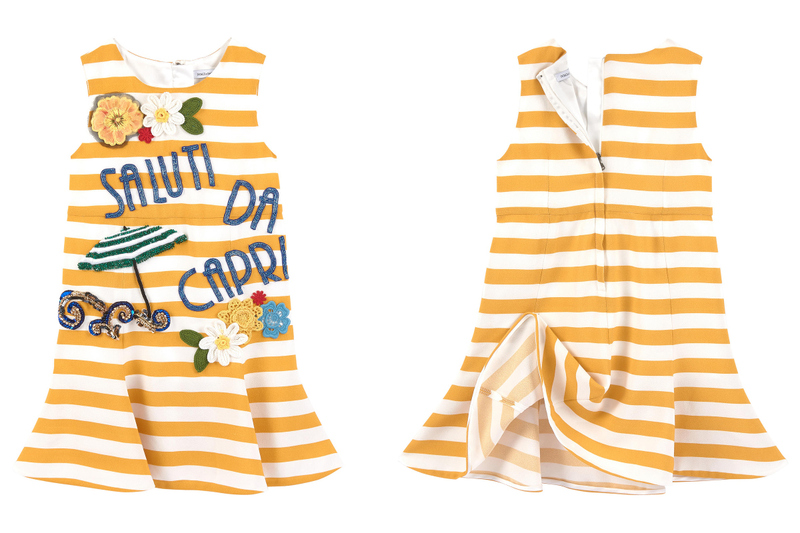 Dolce and Gabbana summer 2016 mini me girls pinafore dress with yellow and white stripes. It's characterised by appliqué blue sequins letters and hand-embroidered flowers on the front. Photos from melijoe elaborated by Fannice Kids Fashion. 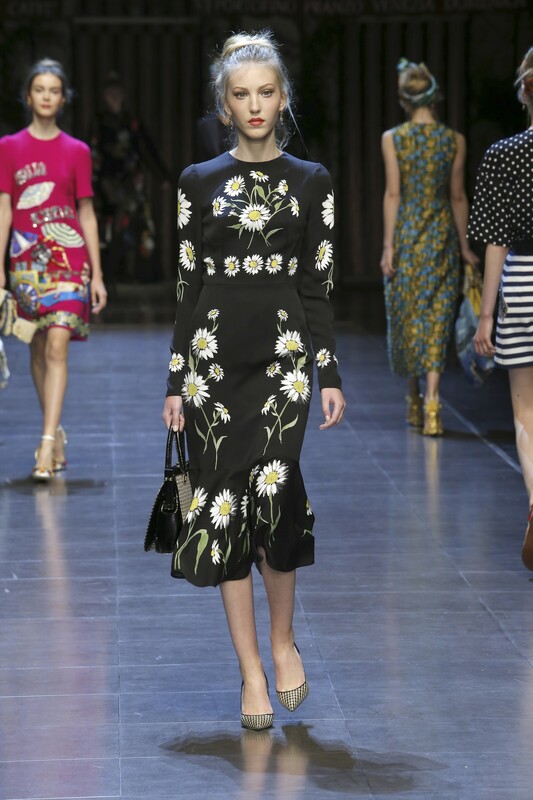 Milan Fashion Week Spring 2016 - Dolce & Gabbana fashion show for the presentation of the spring summer 2016 collection that took place in Milan on September last year. Photo from Dolce & Gabbana. 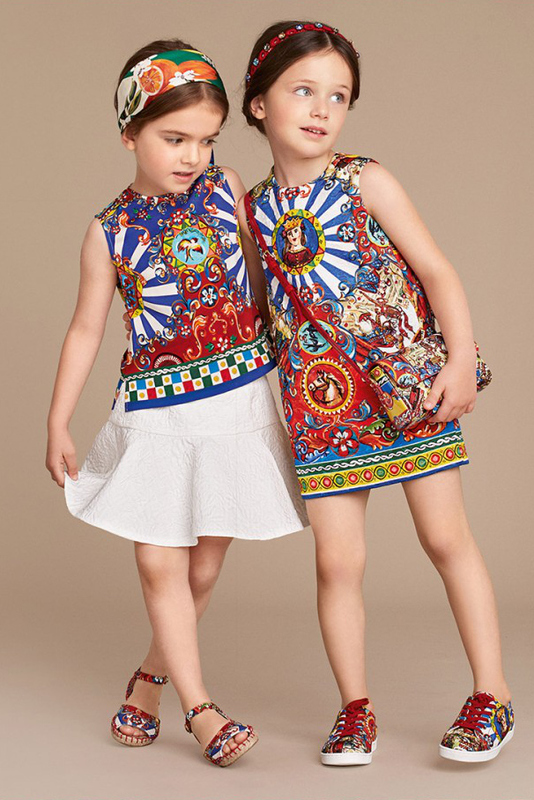 Dolce and Gabbana summer 2016 children advertising campaign featuring two mini me dresses characterised by the "Carretto Siciliano" print. 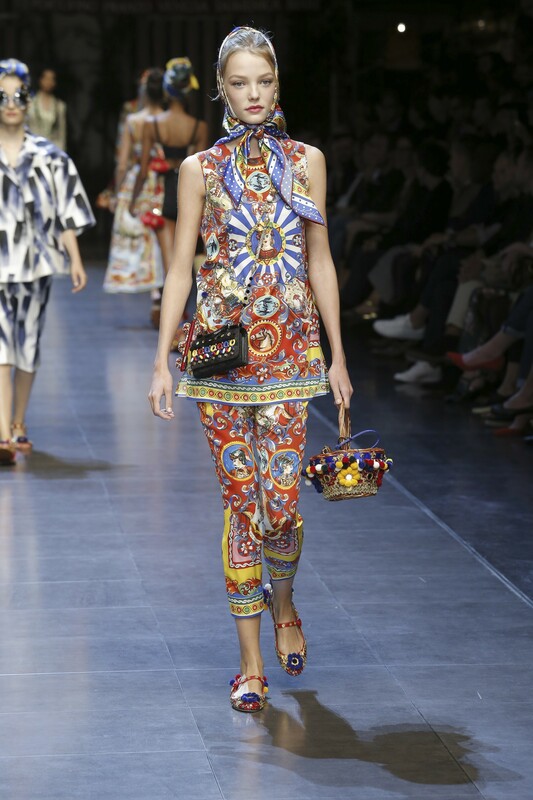 Photo from Dolce and Gabbana. 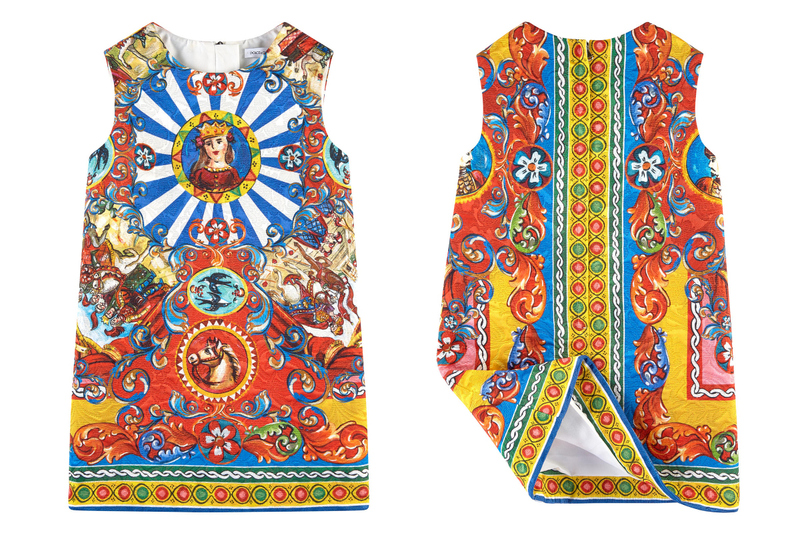 Dolce and Gabbana summer 2016 girls mini me beautiful sleeveless dress. It features the designer's colourful Mediterranean-inspired 'Carretto Siciliano' print. Photos from melijoe elaborated by Fannice Kids Fashion. Milan Fashion Week Spring 2016 - Gucci fashion show for the presentation of the resort 2016 collection. 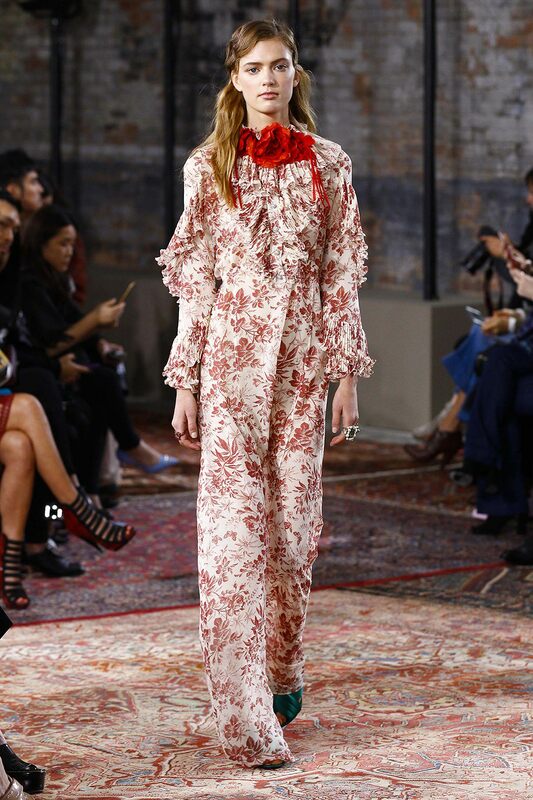 The event took actually place in New York City's art district and not in Milan, but we love this style too much. Photo from theimpression. 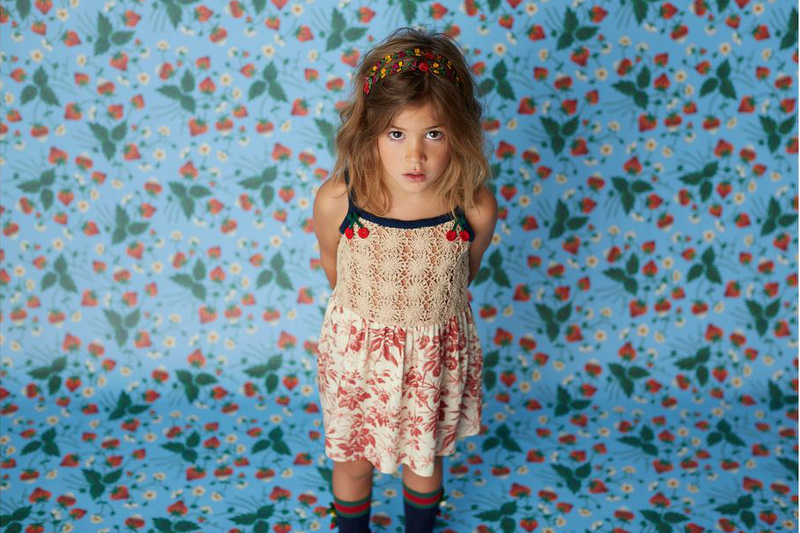 Gucci summer 2016 kids lookbook shot by New York photographer Lee Clower. Photo from Gucci. 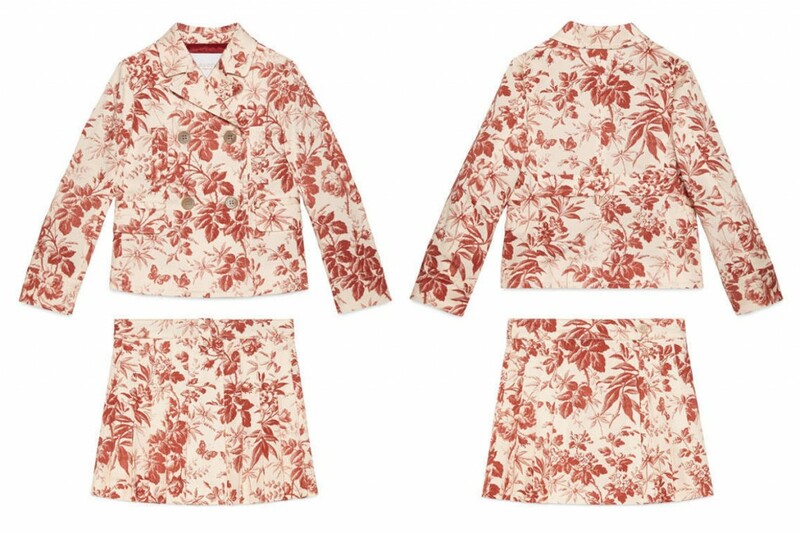 Gucci summer 2016 girls beige jacket and skirts with a cerise herbarium print. 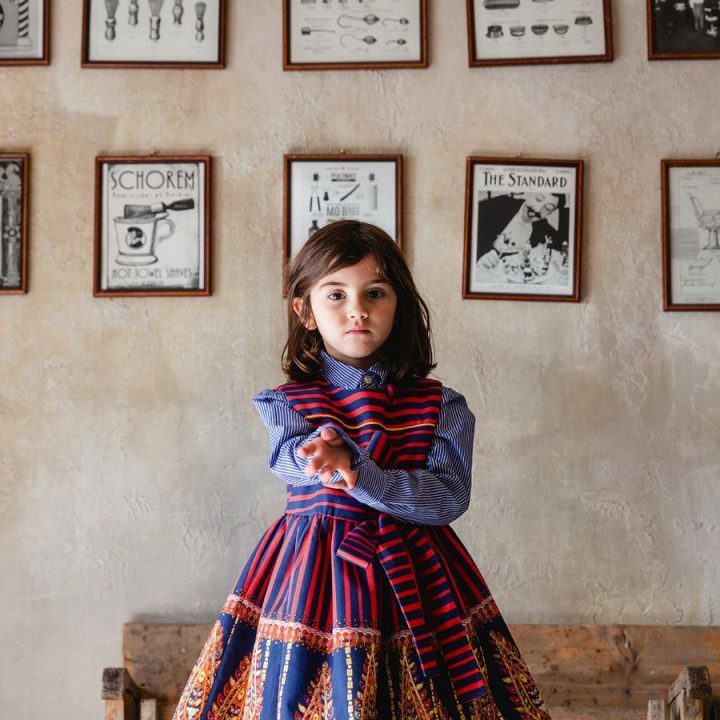 Photos from Gucci elaborated by Fannice Kids Fashion. 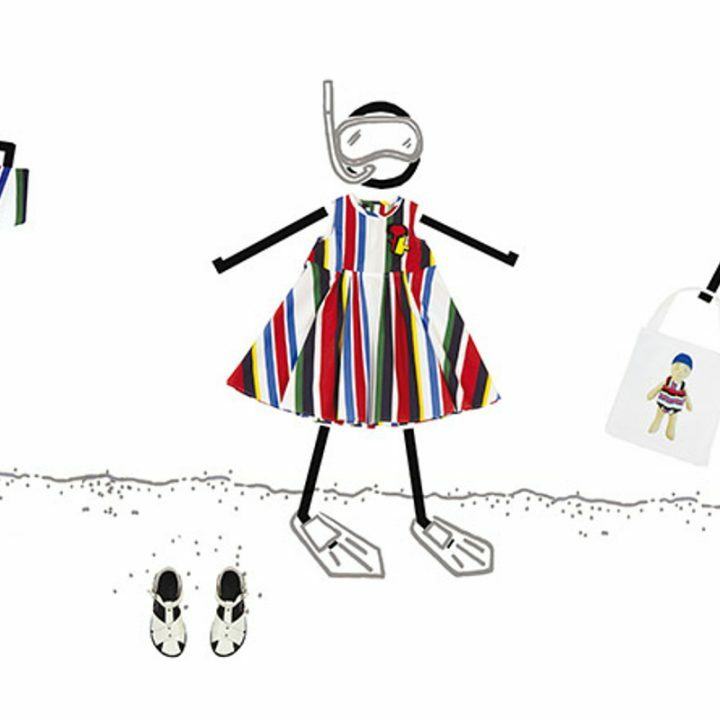 Gucci summer 2016 kids catalogue for the incoming season that shows the new style of the brand for both children and adults. Photo from Gucci. 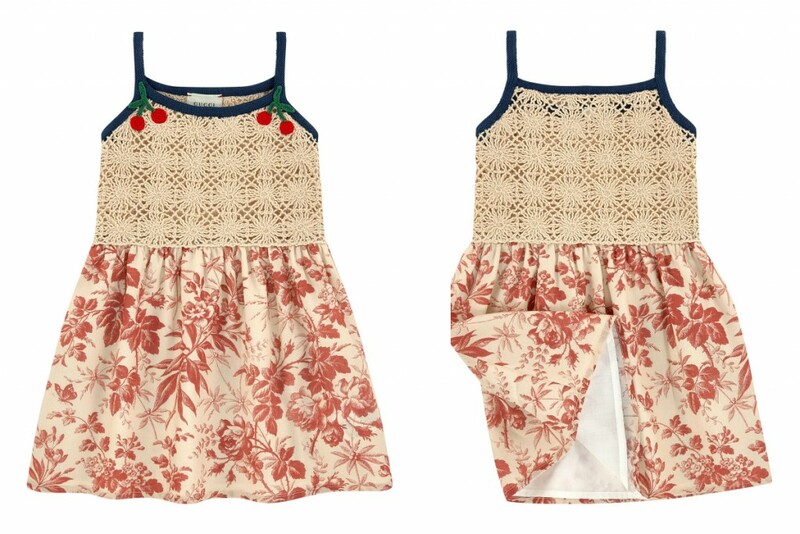 Gucci summer 2016 girls sundress with a cotton knit bodice and a beige skirt with a cerise herbarium print. Photos from Melijoe elaborated by Fannice Kids Fashion. 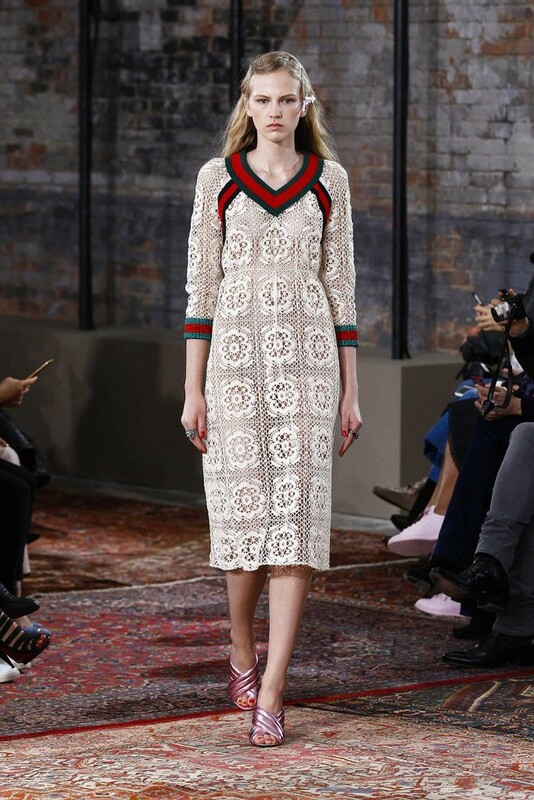 Milan Fashion Week Spring 2016 - Gucci fashion show for the presentation of the cruise collection in New York City. Photo from theimpression. Gucci summer 2016 catalogue for the kids spring summer 2016 collection encompassing many outfits inspired by the adults line. Photo from Gucci. 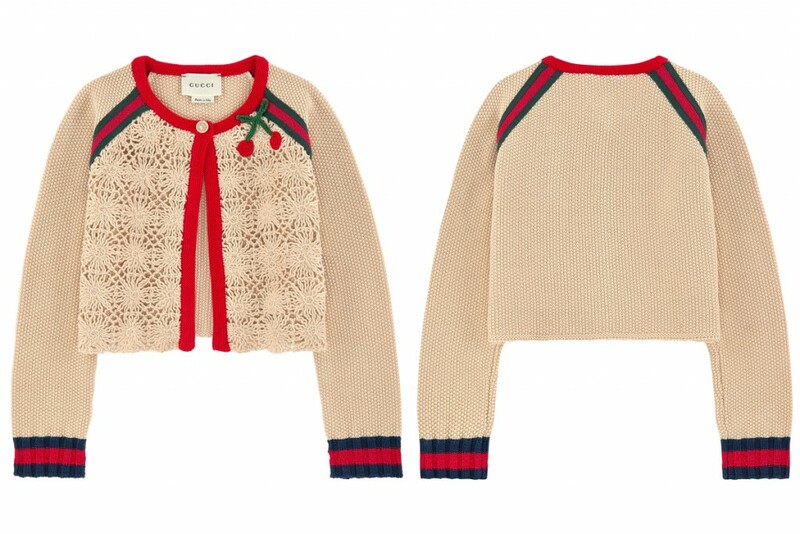 Gucci summer 2016 girls crochet knit cardigan with the brand iconic stripes at the wrists and at the shouldres. Photos from Melijoe elaborated by Fannice Kids Fashion. Milan Fashion Week Spring 2016 - MSGM fashion show presenting the collection for the incoming season. Photo from fashionmag. MSGM kids summer 2016 advertising campaign featuring a stunning mini me black outfit. Photo from MSGM. 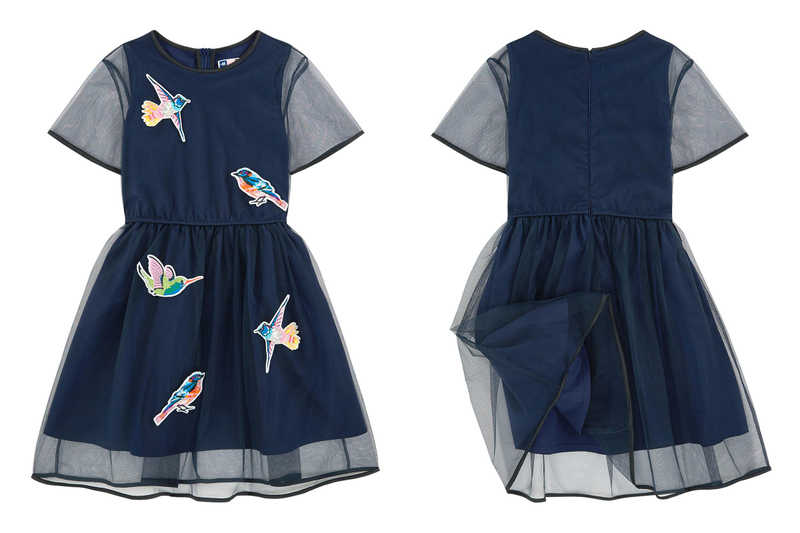 MSGM summer 2016 mini me black dress with a black layer of tulle with birds embroidered all over. Photos from Melijoe elaborated by Fannice Kids Fashion. Milan Fashion Week Spring 2016 - MSGM fashion show for the presentation of the spring 2016 collection. Photo from fashionmag. 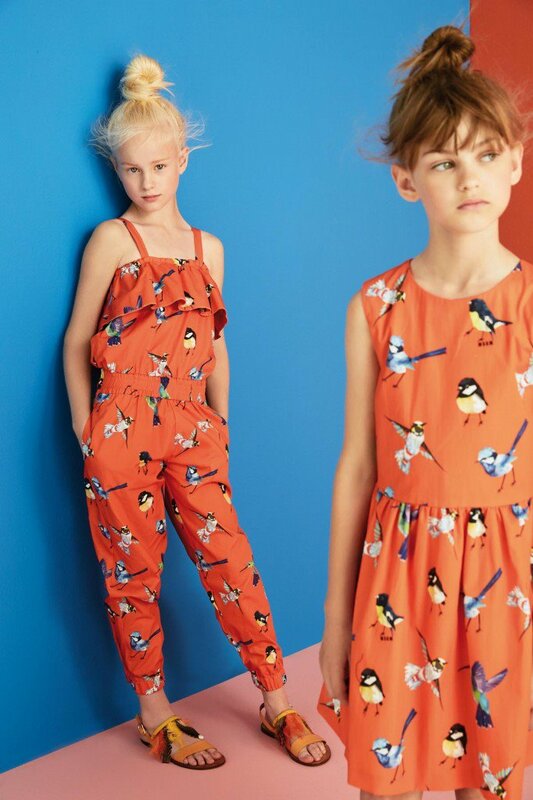 MSGM kids summer 2016 advertising campaign featuring two orange outfits inspired by the adults line. Photo from MSGM. MSGM summer 2016 girls orange sleeveless dress with in a sweet blue bird print. Photos from Melijoe elaborated by Fannice Kids Fashion. Milan Fashion Week Spring 2016 - MSGM fashion show that took place in September for the presentation of the spring 2016 collection. Photo from fashionmag. 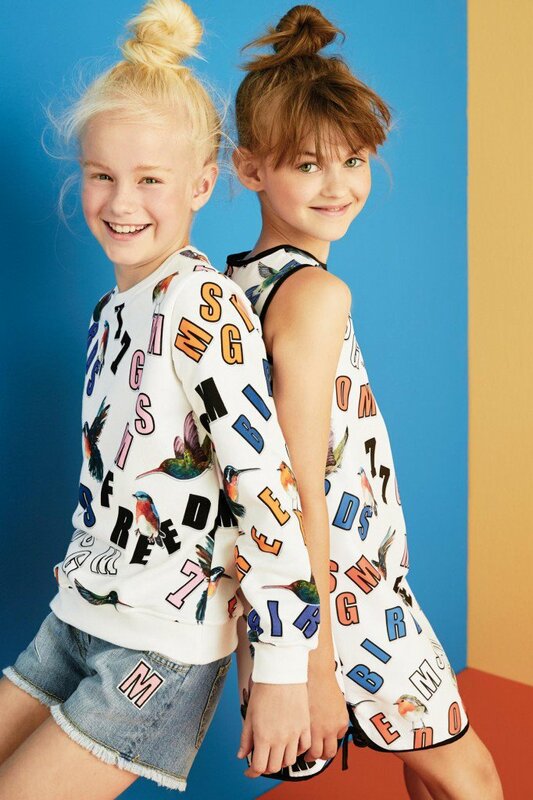 MSGM kids summer 2016 advertising campaign featuring two white outfits inspired by the adults line and characterised by lettering and birds. Photo from MSGM. 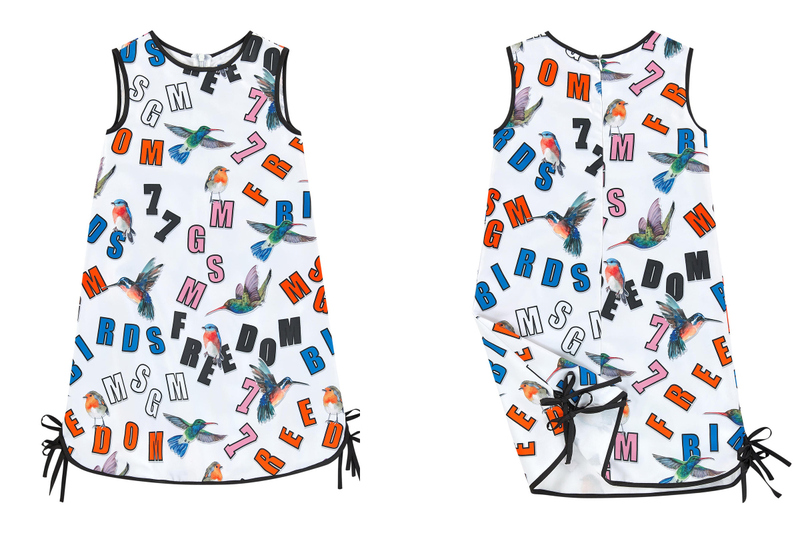 MSGM summer 2016 girls white sleeveless dress with a colourful print, including the words "MSGM", "Freedom" and "Birds" and little birds. Photos from Melijoe elaborated by Fannice Kids Fashion.